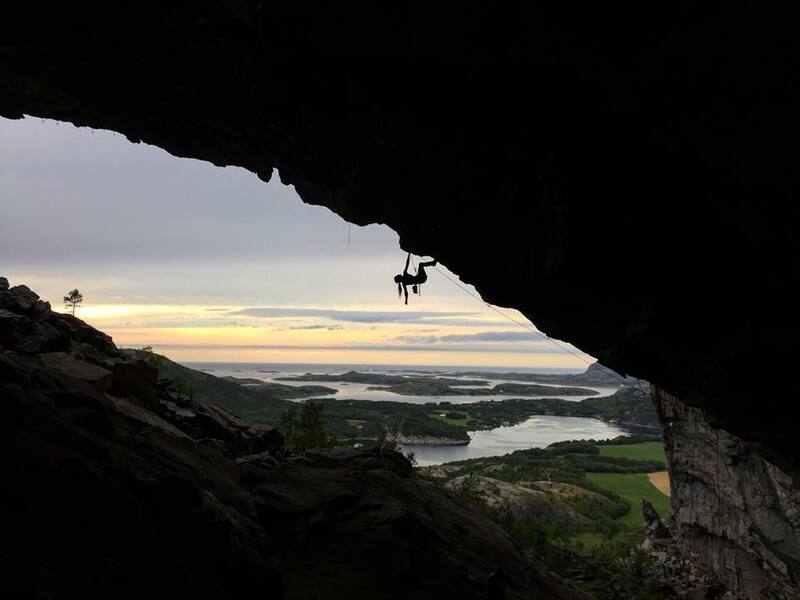 Our trip to Norway was supposed to be a two-week bouldering a trip. David and I had planned the trip with two friends who live in Trondheim (Martin and Maria) and the plan was to sample the bouldering around Vingsand and Harbak. I hadn’t done much research and had very few expectations from the trip due to a few factors; a very busy July with lots of travel and events, a shoulder injury and generally less psyche for bouldering. But I was really looking forward to visiting Norway and spending some quality time with David. Shortly before the trip, I realised how close Flatanger was to Trondheim. It wasn’t long before I floated the idea to Maria that she and I spend a few days at the start of the trip in Hanshallern cave. I couldn’t bear the idea of being so close and not at least checking it out… Maria was keen and so we planned the first five days there and then we would meet up with David and Martin to boulder. To cut a long story short, I didn’t go bouldering at all and I ended up spending a month in Norway. The weather was rainy and Flatanger is relatively weather proof, at least compared to the bouldering! So David also spent a couple of days route climbing (he smashed it, sending his first two sport climbs EVER :)) before he went out bouldering on the better weather days with Martin. Flatanger is incredible. The area is mind-blowingly beautiful with fjords, great expanses of open water, lush greenery and epic skies. It’s a very calming place to be. The climbing is really unique: very steep in the cave but also some long, less steep routes on the left wall. 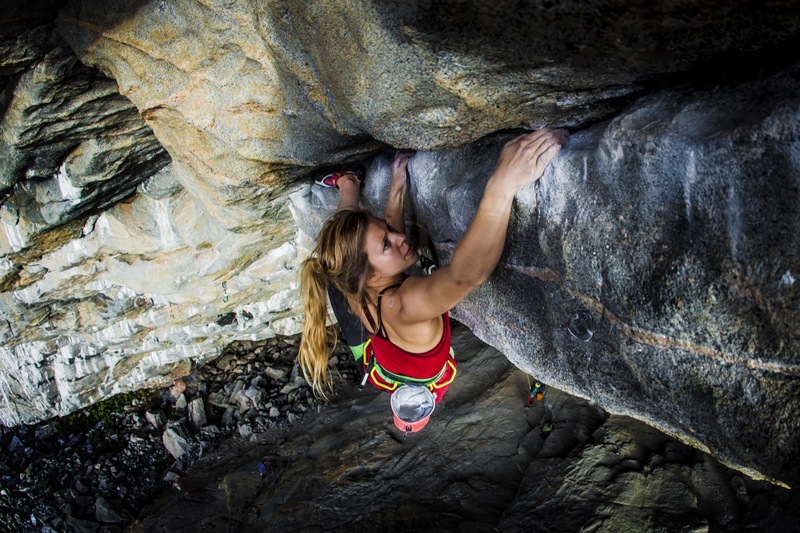 The granite is impeccable and you very much climb a feature rather than hold-to-hold. 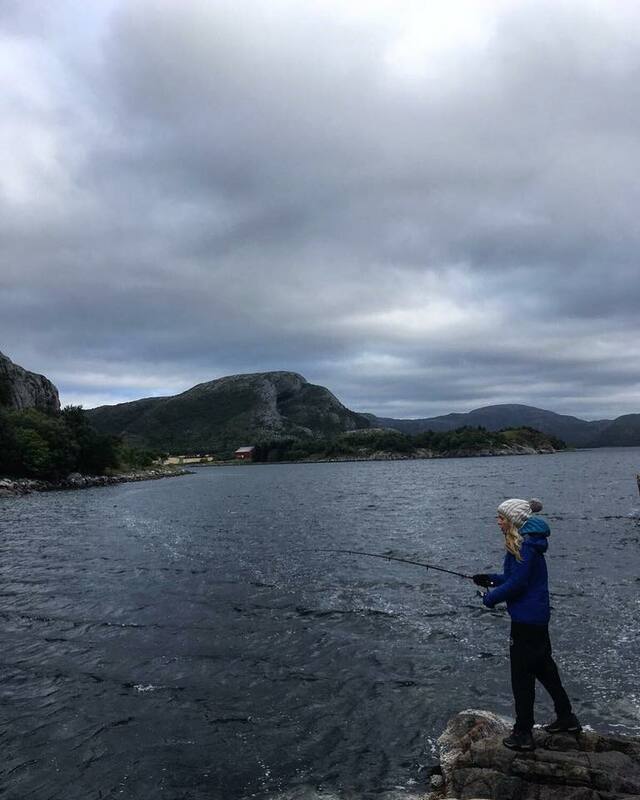 It felt like a very special place, a simple existence built around climbing, fishing, picking berries and spending time with like-minded people. The atmosphere was one of psyche and support, with everyone invested in each other’s ventures. Initially my plan was to climb mainly on the left wall, do some on sighting/quick sends and generally not push too hard. But Maria was psyched to try Nordic Flower and after belaying her on the route, I got inspired and decided to join in. It’s really nice climbing on the same line as your climbing partner, working things out together and it’s not often I get to do this with a strong lady so it was a lovely opportunity. 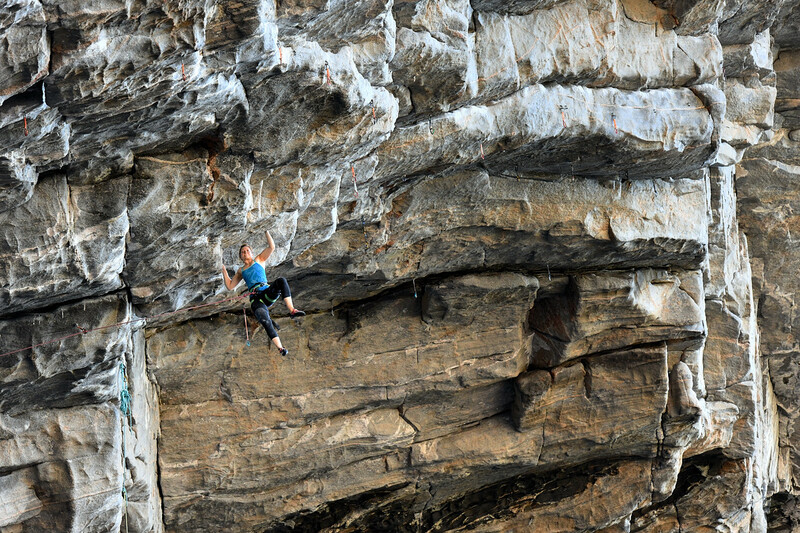 Maria was super strong and sent Nordic Flower to the first lower off (8b+) in quick time! I followed a few days later, really happy and quite surprised given the run up to the trip. It would have been sensible to leave it there in terms of harder stuff. With a week to go I perhaps should have switched to easier, quicker ticks but my eyes were constantly drawn to the mega line that is Nordic Plumber. 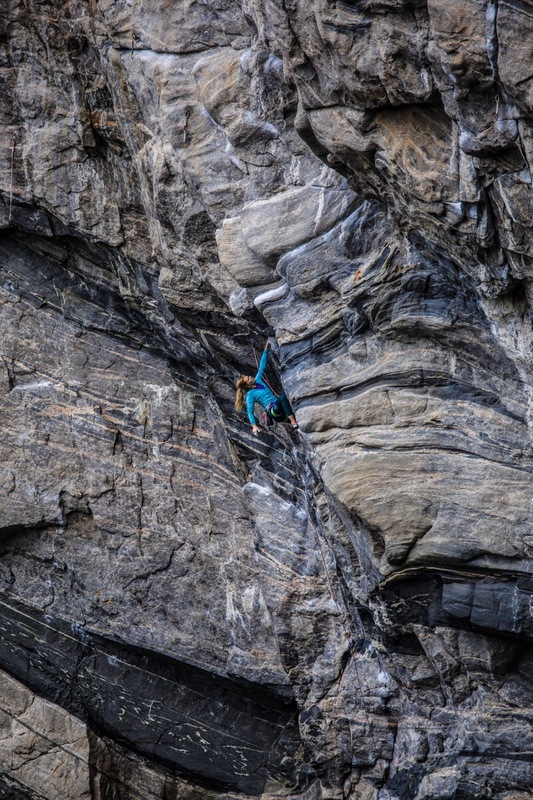 The route shares the start of Nordic Flower but then busts out along some incredible features, finishing on the slopey rail that also marks the end of the well known Thor’s Hammer and Valhalla. It’s incredible to look at, quite an adventure through steep terrain with three dimensional, interesting and involved climbing. I went up just to “have a look”. I imagined I was checking it out for next year, just a bit of research for a future trip. Those of you that know me won’t be surprised that I couldn’t help myself; I got mega psyched and fully involved. I surprised myself by having some pretty good red-points towards the end of the week, good enough that I decided I didn’t want to leave it until next year. We were going home for a wedding but I left my climbing gear and booked a flight back for the following Monday, giving myself an extra ten days in Flatanger. This was supposed to be a training period for Rainshadow but, due to my shoulder still being a little sore in places and not feeling like I was in RS shape, it seemed silly to stop trying a route that a) didn’t hurt my shoulder, b) was really fun and c) was potentially doable. So I returned to Flatanger after a four day round trip to the UK. I thought ten days would be ample…oh how wrong I was! Fast-forward and I had two days left, I had fallen off the slopey rail at the top of the c.50 m route four times, I was tired and I was starting to feel anxious! Luckily we got a cold, windy day (it had been really hot for some time) and I managed to use that window to climb the route. I climbed faster through the bulk of it to reduce the overall time before I hit the red-point crux high up and I purposefully set off onto the rail with more aggression than on previous goes. Whatever it was, it worked and I was so psyched to reach the chains. To make the day even better, my friend Lohan then sent Odin’s Eye! In some ways I think not doing this route might have taught me more. I’m glad I did it and I’m trying to take the lessons away despite the send, if that makes any sense?! I got far too attached to the outcome on this one. I wanted it too much and that made me anxious, which, in turn, made it less fun towards crunch time. I think trying Rainshadow over the last few years has a part to play. By giving a lot of time and energy to a long term, hard project, I have sacrificed other “sends” of perhaps more attainable routes. I have still climbed on other routes and been on trips but everything has been second fiddle to RS, nothing else has had top priority in terms of type or timing of training and effort. All the work I have done for RS has certainly improved my ability in general but I haven’t focussed in on a different route in the same way. As a result, I haven’t been sending hard stuff for a while and it took this route to make me realise that my confidence was suffering from it. Don’t get me wrong, I’ve climbed hard in the last few years – the links I have done on RS are probably the hardest climbing I have ever done! But I haven’t had that send feeling on something nearer my limit since I did Bat Route in 2015. So faced with the Plumber being possible, I realised I needed and wanted it a bit too much and that nearly caused me to fail on it. It was probably one of the hardest mental battles I have had with a route, but it was totally my fault and my issue to amend. Yes, the route had a high red-point crux and yes I had a time limit but those things are often the case with hard climbing and I think I have previously dealt with them better. I had a stunner of a pep talk from David a couple of days before I did the route. Pep talk makes it sound like he said things like “you can do it!” but it was more like “does it really matter if you do it?”. He totally called me out. I would love to say I completely let go of the outcome and that enabled me to send. In reality that was a tall order but I loosened my grip on the outcome and that was enough for me to relax, enjoy it and climb to the top. I didn’t stop wanting it but I partially let go, I accepted the possibility of not doing it and I made that okay in my mind. Perspective is so important and equally so easy to lose sight of. It was supposed to be a bouldering trip, I was coming back from an injury (I couldn’t do a pull up two months before! ), and I hadn’t even planned to try the route. 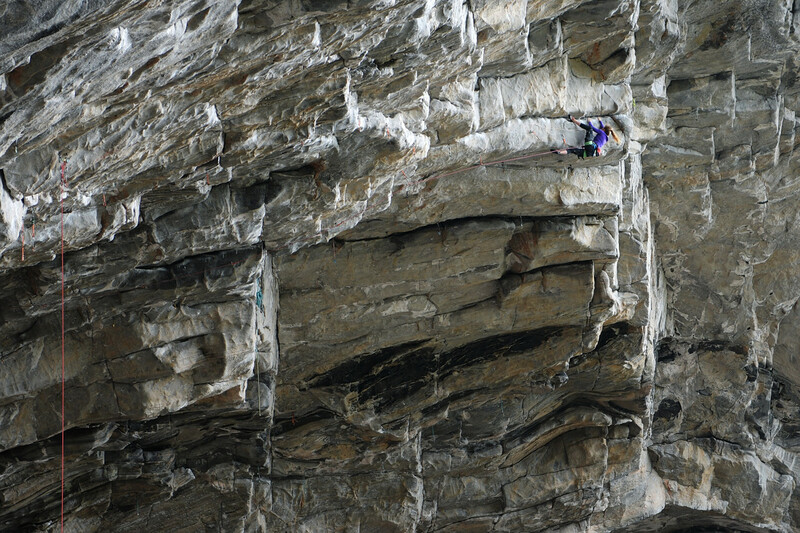 I’m really grateful to have had the climbing experience I had, even the anxiety, because I learnt lots from it. My mental game is far from perfect and I need to continue to look at and manage my expectations when it comes to hard climbing. Thanks to Paul Reeve for the footage of my send go on the final rail! 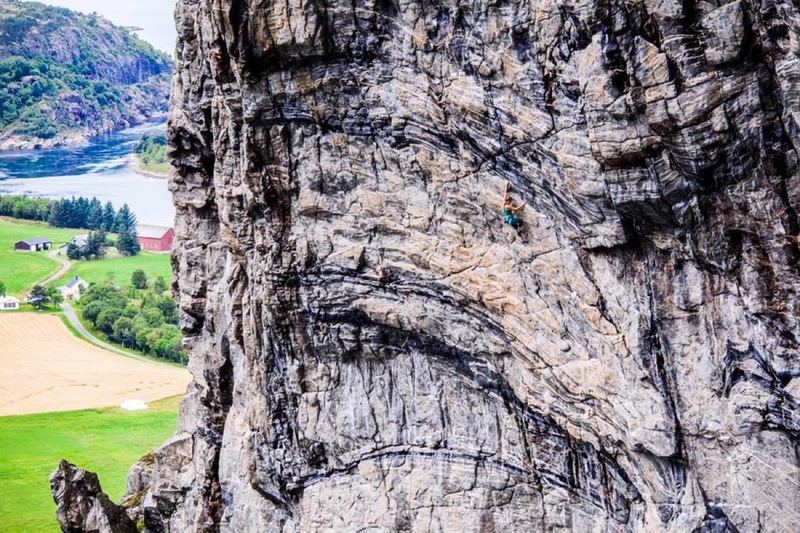 Would you say it’s worth a visit for climbers up to 7a+/b too? 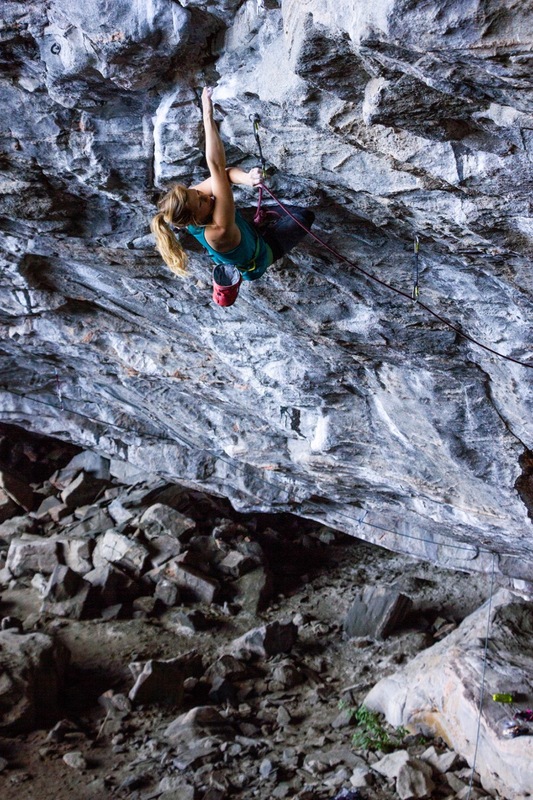 Have you tried some lower-graded routes, if so are they nice? ok thanks for that. What would help more is if you could sell me your fingers 🤙🏽, but hey.